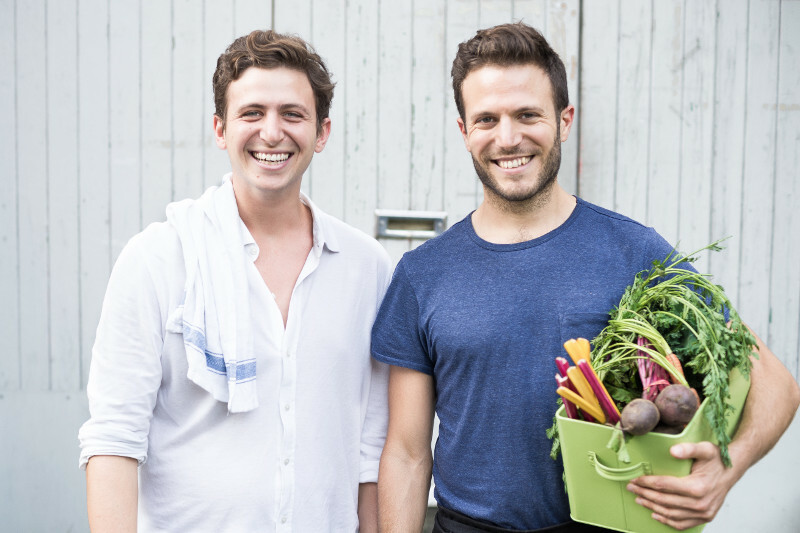 Made In Hackney founder Sarah Bentley talks to Jonathan Petrides (JP), co-founder of new start up allplants, about the plant-based frozen food revolution they're leading the charge in. SB: You launched allplants from the Made in Hackney kitchen - what did you like about this experience? JP: We feel so lucky that we found Made in Hackney and managed to slot in around all the other brilliant food entrepreneurs working there. A big thanks to Meriel at Club Mexicana for mentioning she started at MIH too! It’s such a warm and welcoming community, and a very functional space to work in. We had all the equipment we needed to develop dozens of new recipes - we made full use of the ovens, range cooker, dehydrator, blenders, mixers, fridges and of course freezers (to perfect the creation of our meals that come out tasting even fresher from your freezer!). The team were extremely understanding as we learnt how to run our kitchen team professionally. And of course, it was particularly nice for all of us cooking NOT to be sharing the space with any meat or other animal products! As we’re growing we’ve now built our own bespoke kitchen in Seven Sisters. SB: Give us the allplants elevator pitch. JP: allplants deliver – nationwide - six delicious frozen dishes for two people to share. Each meal is ready-to-eat - making it easy, affordable and nutritious to eat plant-based any night of the week. Freezing locks in nutrients and flavour, meaning every meal is the best it can be when customers are ready to eat it. SB: What gave you the idea for the business? JP: Myself and my brother Alex are inspired by cuisines, cultures and food from all over the world. 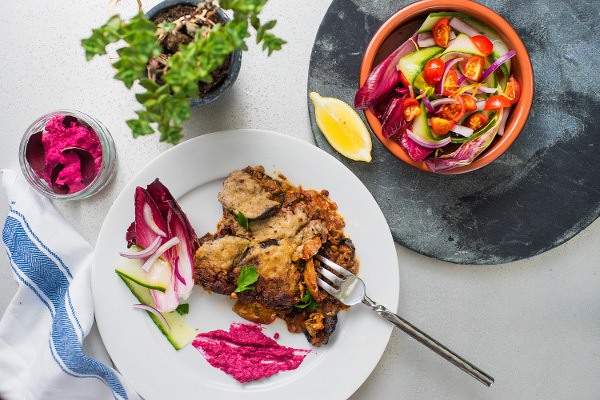 When we started eating a totally plant-based diet we realised it could be difficult to find and make great-tasting meals every day of the week. So we wanted to change that. SB: What flavour meals are on offer? JP: Jerk Jackfruit, Moussaka, Black Bean Chilli, Claypot tagine, Cashew Mac and Bourguignon. Check out more description about the meals on our website. We’re always going to have these six signature dishes available, but coming soon is a monthly rotating menu of seasonal specials - it’s going to be delicious! There’s a real myth that “vegan” means bland and boring - or expensive, squeaky clean diet food. We’re breaking that mould. SB: Who comes up with the menu inspiration? 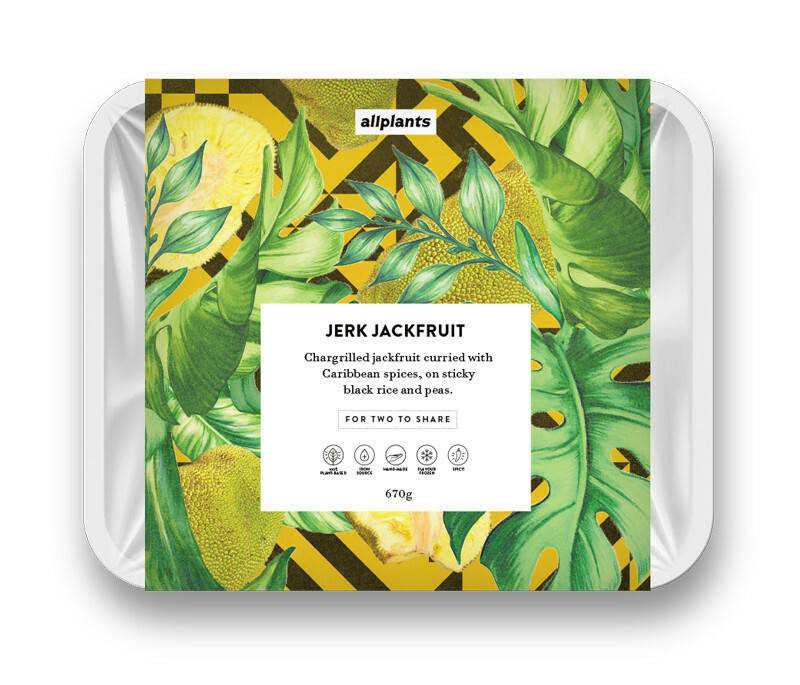 JP: Alex and I spent months testing menu ideas with friends and family - we wanted to make healthy yet delicious comfort food that was a surprising plant-based remix - like Jerk Jackfruit - that tastes like pulled pork, or Cashew Mac - which is outrageously cheesy and creamy. Now we’ve developing a team of fantastic chefs who we develop recipes, process and ingredients with. We’re also inviting a few of our favourite #allplants chefs to have a crack at designing dishes for our seasonal menus. SB: What are your plans for allplants in 2017? JP: Just to keep making the delicious meals and sharing them with like-minded people who want to enjoy their food, take care of their health and help our planet to thrive. SB: Is vegan food finally getting the profile it deserves - and why do you think this is happening now? JP: It’s just getting started. 43% of the UK are reducing the role of meat in their diet or living a zero-meat lifestyle. Our view is that there’s a brilliant array of inspiration and education out there (thanks to social media, documentaries and celebrity-adoption) accompanied with a growing availability of solutions which need to work harder to keep up with interest and demand. Vegan options are booming and recipes couldn’t be easier to find - but still a lot of people ask, “What do I eat if I’m vegan?” The allplants team aim to make it tastier, easier and more affordable to thrive on a plant-based diet. SB: What's the best advice anyone's given you? JP: That’s a tough one. I think what’s served us best in our launch year is the importance of building a team that all deeply care about our mission to help people and planet thrive by making plant-based food more delicious and easy. It makes working together so much more fulfilling. SB: I hear allplants is not your first game changing idea or product that you've taken to market? JP: No it’s not. I launched m-Shwar in Kenya, the first online bank in Africa and Penda, a health social enterprise also in Kenya. Alex was employee number one at Proper Corn. So yes, we’re no strangers to launching big, new ideas. SB: Any advice for aspiring plant-based food entrepreneurs? JP: Start small, dream big. And feel free to drop me a line if I can help with anything!